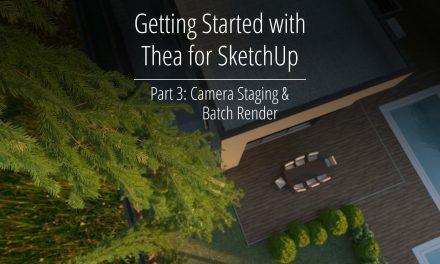 In this first part of these Getting Started Tutorials we will explore Thea Content Browser and learn how to apply Thea Materials, load Environment Maps and add Thea Proxies in a scene. The Thea Content Browser window can be opened by clicking on the folder icon of the Thea Toolbar. This window gives you access to all the materials, models and skies that come pre-installed with the Thea for SketchUp installation. 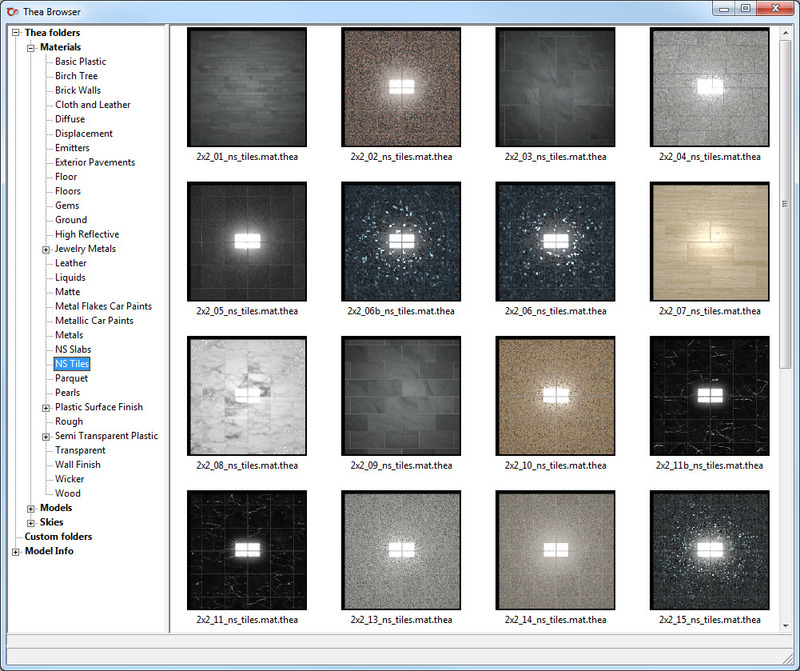 As you can see in image 1, the left sidebar contains materials, models and environment maps in categories. You can apply materials to objects in your scene by double clicking on a thumbnail icon. The cursor will turn to the bucket mode allowing you to apply the material. To add a Thea Model in your scene, double click on a thumbnail. SketchUp will load a proxy representation of the model allowing you to place it in your scene. Environment Maps can be applied in a scene by double clicking on a thumbnail. Doing so will override any current environment setting and apply the one you selected.